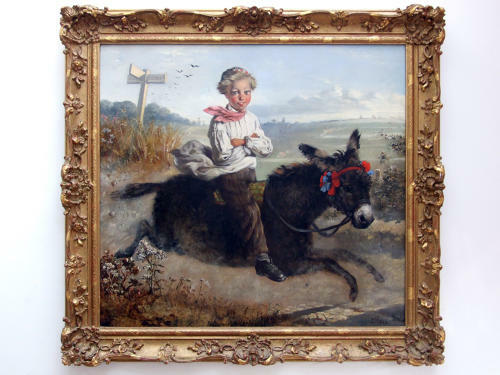 A wonderful pair of oil paintings by famous Victorian painter of children 'Charles Hunt' entitled 'Off to the Derby' and 'Back from th Derby' showing a young lad riding his donkey off to the races in the morning full of ambition and returning exhausted in the evening. Beautifully observed and finely observed. Signed and dated.